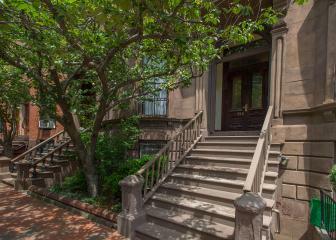 The South End has evolved into one of the most sophisticated and attractive places in which to live in Boston. From its creative dining scene to its beautifully restored brownstones to active nightlife, the South End is Boston’s most cutting-edge neighborhood. 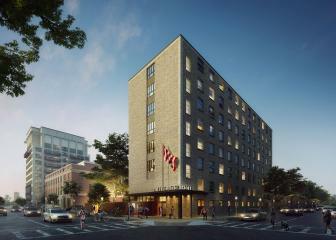 The most revolutionary hotel in the most revolutionary city in America is now taking reservations. Travelers can book The Revolution Hotel, the first downtown Boston addition to The Mount Vernon Company's renowned collection of independent lifestyle hotels, for stays beginning December 5, 2018. Inspired by the rebellious attitude and innovative spirit of Boston, the 164-room property will upend the status quo when it opens, offering a radically new hospitality experience in the city's South End. A celebration of innovators, thought leaders, and risk takers, The Revolution Hotel is destined to become an instant must-visit destination. Built within the walls of one of America's first YWCAs at the intersection of Berkley and Appleton Streets, the hotel, through interpretive art, stunning sculptures, and subtle design cues, will envelop guests within a modern interpretation of Boston's storied past. Hotel offerings, experiences, art, installations and activations will reflect the rich history of notable innovations and Boston 'firsts' as well as the rebellious individuals and revolutionary leaders from Boston that have shaped our world. 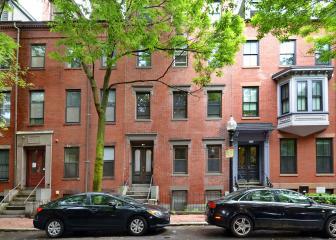 Featuring fully renovated brownstone buildings with dramatic high ceilings and expansive windows, each unit has been upgraded with new kitchens and baths while retaining the distinctive classic feel of Boston’s architecture. 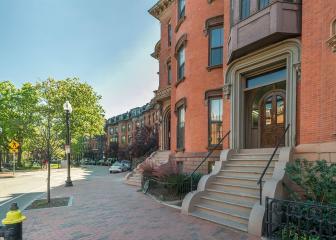 Located off of Massachusetts Avenue in the thriving South End, these buildings reflect the grandeur of a bygone era with the convenience of modern upgrades. 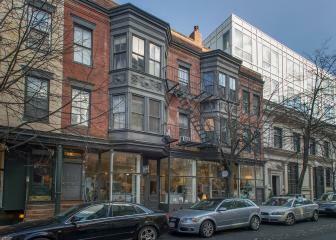 Totally renovated brownstone building with contemporary furnished short term rental suites. The building offers all the benefits of a home with the convenience of hotel living in one of the South End’s best locations. Prominently located at the corner of Massachusetts and Columbus Avenue in the thriving South End, this attractive boutique office building provides an ideal environment for startups, non-profits, and emerging service firms who are looking for high-quality space at rates significantly below Back Bay office buildings. Featuring the acclaimed SRV Restaurant on the first floor and an on-site coffee shop, 434 Mass Ave. is an ideal office location. 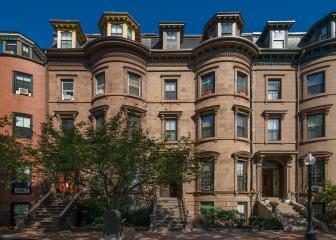 An imposing Victorian inspired brownstone featuring ornate interior and exterior detail. Both the common areas and the units feature exceptionally high ceilings and oversized windows providing a view of the emerging Mass Ave neighborhood. 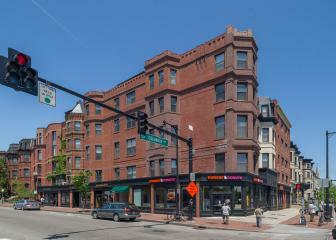 The building is conveniently located near the South End’s famed restaurants and is within walking distance to the Mass Ave T stop. Located in Boston’s trendy South End, this building has been totally renovated with fully new kitchens and baths as well as a newly refurbished common area. 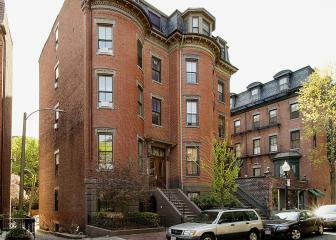 This location provides terrific access to the Back Bay and the Copley Place shopping area. 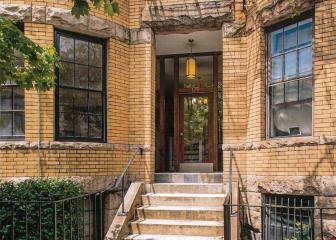 Union Park Street is a totally renovated historic apartment building. Each unit has been meticulously revamped to include modern kitchens and baths while maintaining the classic charm of the building. This property is surrounded by some of the city’s best restaurants and popular coffee houses and is simply the ideal South End location.